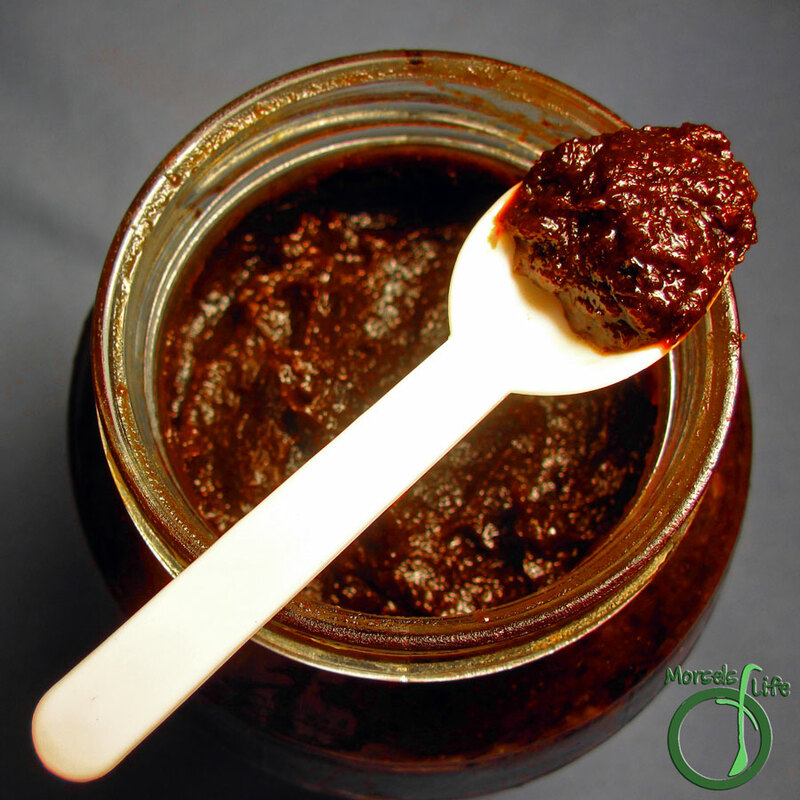 Try this savory Korean chili pepper paste (gochujang 고추장) made from red chili powder, miso, and sweetened with sugar. When James saw me making this, he just shook his head and said, "The good idea fairy struck again." While making your own red pepper paste isn't highly typical these days, there's something to be said for homemade condiments/sauces and customizing them to your own tastes. Korean red pepper paste (gochujang) is a sweetly savory and spicy fermented Korean condiment/sauce. You can use it in a variety of Korean dishes, such as duk bok ki, bulgogi, or Cold Noodles, among others. It's also commonly used as a dipping, grilling, or basting sauce or marinade. Koreans first made this sauce after the Japanese introduced chili peppers to Korea. Originally, Koreans made gochujang by mixing red chili pepper powder with glutinous rice powder and soybean paste and then aging/fermenting it under the sun. Sometimes, regular short grain rice powder or barley can substitute for the glutinous rice powder. In fact, in specialty versions of gochujang, wheat, jujubes, pumpkin, soy beans, or sweet potatoes can also replace the glutinous rice powder. What about you - do you make your own condiments? 1 cup miso I used half white and half red. 1 cup Korean chili pepper powder (gochugaru 고추가루) You can use other chili pepper powders or flakes, but the flavor will differ. For a more complex taste, you can mix together several different types of chili pepper powders/flakes. Dissolve sugar in water, heating if needed. Stir in gochugaru while stirring over low heat. Remove from heat, and mix in remaining materials.